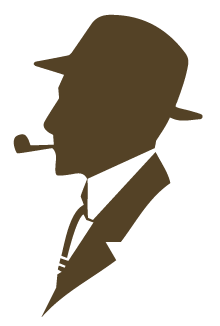 Catholic Gentleman’s Guide is about guiding you to holiness through your everyday tasks as Catholic Men. Well, summer has some great and amazing things to offer you, that will not only increase your Manliness, but also your Holiness. 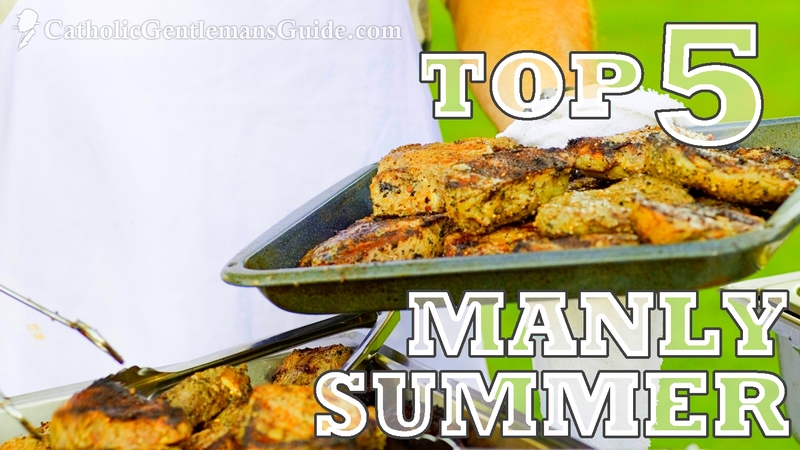 Here are the top 5 Masculine things to do this summer! Self-Sacrifice: Press pause on whatever else you’re doing, and man the grill. You might think you have better things to do, but what is better than growing in virtue AND barbecuing at the same time? Service: This one is more for husbands out there, or for those of you out there who might be feeding guests. Here you have a chance to serve your family or guests by taking the lead on the meal. Do it proudly and selflessly! Saint Lawrence of Rome: Increase your devotion to this Saint, who is the patron of cooks and chefs. Practice Acceptance: The BBQ isn’t restricted to just carnivorous matter. Yes, I’m referring to the idea of grilling veggies, which is not an act of sacrilege to your sacred grill. If you’ve only ever stuck with meat, you’ve got to give veggies a try! Practice Perfection: So manning the BBQ might not be your forte. If so, then each time you BBQ is another opportunity to get better at it! Eventually, when someone says “medium well done”, you’ll be able to satisfy that request with confidence! Persevere in practicing perfection and you’ll gain virtues you can carry over to the spiritual life too! Value of Work: Our creative ability to work with our hands is one of the amazing ways that we are created in the image of God. Through God’s work, all of creation came into being. Thus, God gives our work great dignity because He calls us to work as trusty caretakers of creation. Our work especially has dignity when it is geared towards serving Him! Perseverance: Ok, so maybe you are just an average guy, and don’t have all the skills (or tools) for the job, but even though you might face roadblocks and setbacks in your projects (like buying the wrong fitting, or making the wrong cut…), keep plugging away and show your project that you can conquer it! See that “It is Good”: Step back and admire the beauty. Here is a project that represents a lot of human labour. It is evidence of the mark that the dignity of your work has left behind for the world to see! Even God saw that his work was good! Saint Joseph the Worker: We know Saint Joseph was a carpenter, which probably makes him the most Handyman saint of all time! Our work becomes a testimony of our (hopeful) sainthood! Fishers of Men: Ponder how even we are called to evangelize, share our faith, and draw people to knowing, loving, and serving Jesus and His Catholic Church. Sometimes we simply reel others in one-by-one. Imitate: A lot of the disciples were fishermen, and they became among the first Saints. Jesus relied on their fishing background to lead them to bigger and better things. Relaxation and Leisure: Even God rested on the 7th day, to show us how we should value the rest that comes after hard work. Every man deserves his rest – so that he might recharge himself to do more work in the Lord’s vineyard! Patience: Unless you’re one of those fishermen who can catch a fish on every cast, you’ll need patience as you wait and cast over and over until you get your catch. Detachment: Have you ever lost your favorite lure? Have you ever almost shored a world-record fish, only to have him get away at the last moment? Have you ever had to share your secret fishing spot? Detachment men. Provider: Man as provider is essential to his nature and his call to sacrifice. In bringing home your catch, you can provide for yourself and your family or friends. Discipline: You’v got to do it right in order to get the perfect fire. I don’t know how many times I’ve tried to skip a step to save time, but only end up needing to start from scratch anyways. Be disciplined and carry out the steps with perfection and you’ll get a perfect fire going every time (best results are the efforts of a single match). Resourcefulness: If you are ever caught without matches or a lighter, you’ll need resourcefulness to solve the problem. Some solutions to attempt might be to use a lens, a bow and stick, flint and steel, short circuiting a battery, or chasing down lighting strikes (whatever it takes to survive, within moral means of course). Resist Temptation: If you’re tempted to use a solvent or fire starter to assist with you’re fire starting, then starting a fire can be a fantastic exercise of resisting that temptation and do things the hard way. The easy way is often Satan’s greatest snare. Pondering the Fires of Hell: Speaking of Satan, fire seems to be a good image of hell (although Dante used ice…) The idea of damnation to the perpetual burning of flesh is a painful image that is a reminder of the gravity of sin. Pondering the Fire of the Holy Spirit: On the flip side, remember the birthday of the Church, Pentecost? Those tongues of fire were the inspiration that led our first Bishops and Pope to begin building the Church. Are you Catholic and Confirmed? If so, then let fire building remind you that you have the same Spirit and the same task. Socialize: We are social beings by nature and are called to be in communion with each other. Sitting around the campfire is a perfect opportunity to build wholesome relationships through wholesome activities and conversations. There’s something about gazing into a fire that can inspire intimate and spiritual conversation that connects souls. : I don’t care if most of the men that I know have no interest in having a green thumb, I’ll still say that gardening is a Manly and spiritual task. Gardening is creative and it draws us into imitating God our Creative Father. The will to garden represents a commitment to a lot of work in preparing, planting, tending, and harvesting, and the work is known by it’s fruits. Time to get dirty and journey towards some holiness! Fruitfulness: Does our life bear fruit? Gardening teaches us how something bears fruit and how that fruit is cultivated most effectively. Private Property and Personal Autonomy: Recognize that we have been given dominion over the earth and in many parts of the world, ownership of property and goods is something that is accessible to us. Property ownership is an effect of our liberty and freedom, which stand as a testament to our dignity as men and women. For it, we must be grateful! Responsibility: Yet, in the grander scheme of things, our land belongs to God and it is simply entrusted to us for responsible use. Why not cultivate it and use it to benefit other people, the environment, and the common good! Saint Faicre: The patron of gardeners can intercede for you. If you’re an amateur like me, then you’ll need the intercession! Beauty: Aside from providing nourishment, gardening has another role of providing beauty. Fancy gardens with their lavish flowers and manicured trees and hedges show forth the beauty of creation. It is the efforts of a gardener, who cooperates with God’s creation, in making our surroundings beautiful and pleasing to the eye. In this, we can be drawn to the mystery of God’s beauty. So cut your grass, tend your yard, plant flowers, and see the beauty of God! So, perhaps your summer will consist of various combinations of any of these activities, Barbecuing, Projects, Campfires, Fishing, and Gardening. 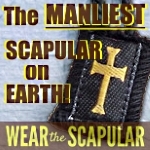 These five things represent everyday tasks, but in these ordinary tasks, a Catholic Gentleman can find ways to reinforce his Manliness by also growing in his Manly Holiness. Perhaps you’ll also be inspired to seek a greater Manly purpose in all your other tasks as well. Whatever this summer brings you, I hope and pray that it leads you ever closer to our Father in Heaven! *Perhaps you need to buy something? Feel free to access the Amazon affiliate links related to the content on this page. 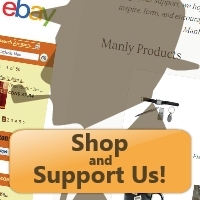 For more information about our affiliate program and partners, click here. Thank you!